The sophomore jinx is a real thing. Many a band fail to produce a quality follow-up to their breakthrough debuts. 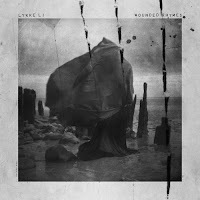 Something told me that it wouldn't be a problem for Swedish indie sensation Lykke Li and her second full length album Wounded Rhymes, out March 1st. Wounded Rhymes definitely branches out further than on Youth Novels. The album opens with "Youth Knows No Pain", which could easily be the theme to a '60s-era spy flick. A similar sound seeps into "Sadness Is a Blessing", a track that benefits from a girl group wall of sound not unlike that of The Raveonettes. Li delivers a big curveball to her fans with a pair of stripped down numbers. "I Know Places" is mostly her vocals and a gently guitar strum, while "Unrequited Love" is has a vaguely country vibe that wouldn't sound out of place coming from someone like Emmylou Harris. That's not to say that Li has abandoned what made her a darling with fans in the first place. "I Follow Rivers" is infectious electro-dance pop. Your hips will be shaking to "Rich Kids Blues". She gets back to that dark, mysterious, sultry and wicked atmosphere with the tribal beats of "Get Some" and the thunder-rumble of "Jerome". Wounded Rhymes may not be as immediately captivating as her debut, but Lykke Li manages to be an exception to the sophomore slump with a solid and enjoyable album. Lykke Li plays The Phoenix in Toronto on May 22nd. Best tracks: "I Follow Rivers", "Sadness Is a Blessing"